Mosquito season starts in the USA when temperatures begin to rise. And, infectious disease-carrying mosquitoes are most active when temperatures rise above 80 degrees, said Orkin in a press release. One of the best strategies for eliminating mosquito-borne diseases is to reduce populations of the mosquitoes that spread them. 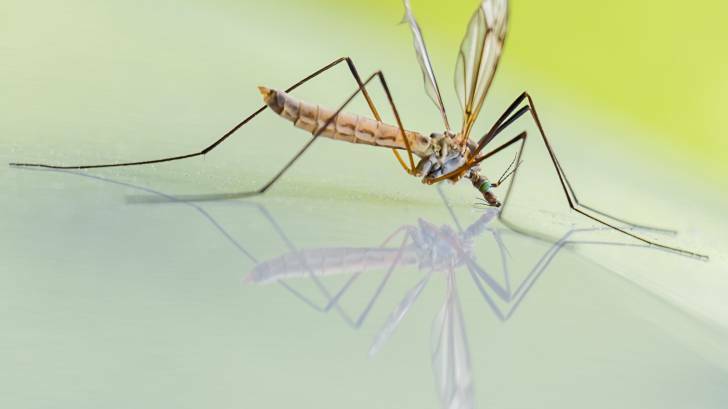 "Mosquitoes continue to be a major health concern, especially in select cities," said Orkin entomologist, Chelle Hartzer. Aedes aegypti Mosquitoes: The Aedes aegypti mosquito can carry and spread viruses and has been found in more than 20 states. Unlike other mosquito species, Aedes aegypti mosquitoes bite during the day and night. Culex Mosquitoes: These mosquitoes are in every state and can carry and spread West Nile virus. They are most common at dusk and dawn. Anopheles Mosquitoes: In addition to spreading Malaria, Anopheles mosquitoes can transmit dog heartworm and other viruses. They have been found in every state and are most active at dusk and dawn. "After mating, females typically seek a blood meal to aid in egg production. She often lays them in standing pools of water. Egg numbers vary from species to species but can be as much as over 100 eggs in a single laying," said Hartzer. Any object that has the potential to hold water should be removed or cleaned out frequently, as mosquitoes can breed in just an inch of standing water. Clean gutters to avoid rainwater build up. Be sure to check for puddles that form on the roof from rainwater, leaking pipes or even condensation from air conditioners. Change water weekly in bird baths, fountains, potted plants and any containers that hold standing water. Keep pool water treated and circulating. Trim shrubbery, as adult mosquitoes like to rest in dark areas with high humidity, such as under the leaves of lush vegetation. Inspect doors and windows for drafts or openings around their perimeters and window air conditioning units. Install weather stripping around doors and utilize caulk around window frames. Ensure that window screens are securely in place and free of holes or tears. Keep doors tightly closed. A propped-open door is a welcome mat for mosquitoes to enter your home. For more mosquito information and prevention tips, visit our Mosquitoes page. Orkin, LLC was founded in 1901 and provides customized services to approximately 1.7 million homeowners and businesses in the United States, Canada, Mexico, Europe, South America, Central America, the Middle East, the Caribbean, Asia, the Mediterranean, and Africa.